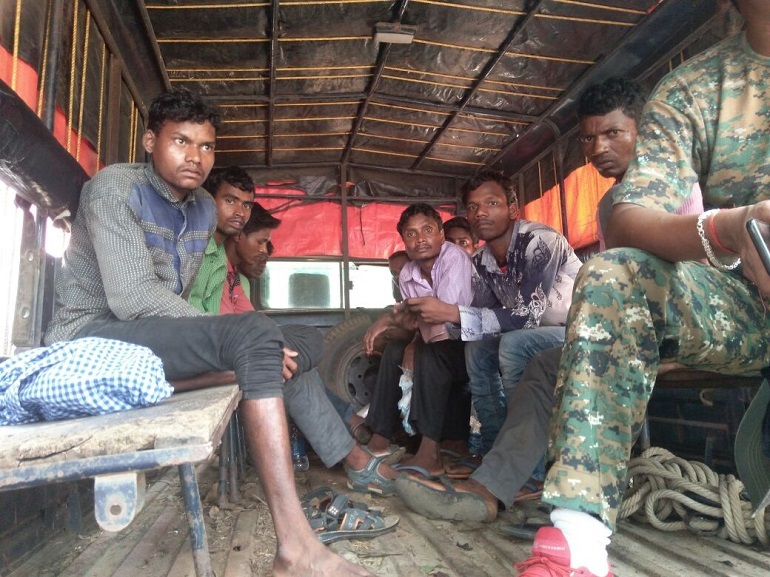 A group of 16 Indian tribal Christians who visited another tribal family in the eastern state of Jharkhand to talk to them about Christianity are in police custody after the local village head accused them of “conversion by inducement”. Last year, Jharkhand became the seventh Indian state to introduce a so-called “anti-conversion law”. Although ostensibly aimed at preventing “forced conversions”, in reality such laws are often used to prevent all conversions – whether by force or through free choice – and especially conversions away from Hinduism to minority religions such as Christianity. Two months ago, 15 Christians were arrested under the same law. 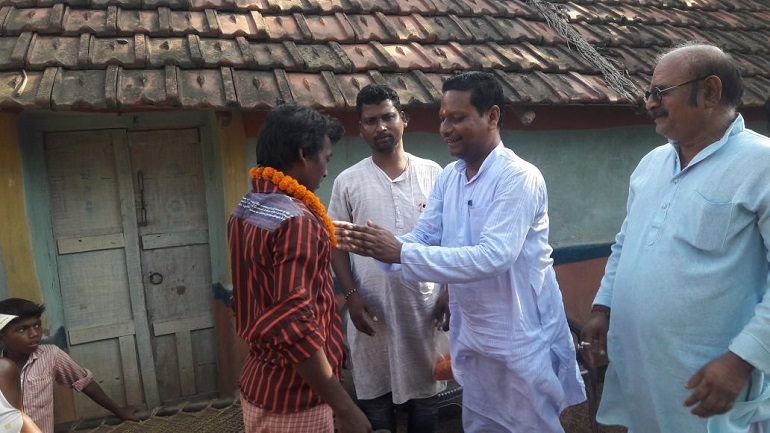 In his complaint to police, Ramesh Murmu, the village president of Phulpahari, in Dumka District, alleged that 25 unknown people entered the village in the late evening on 5 July, installed a microphone and began proselytising the tribal villagers. A group of 25 Christian youths, volunteers from the Friends Missionary Prayer Band (FMPB), who are all also Adivasi (Sanskrit for “aboriginals”) tribals from different parts of eastern India, were on a mission to preach in the tribal hamlets. They visited Biti Soren’s family in Phulpahari. “We are the only Christian family here, and the FMPB group prayed for us and sang a couple of hymns, before the supporters of the village president opposed this prayer service,” Soren, who has now fled her village, told World Watch Monitor. The first complaint submitted by the village president to police, the morning after the group’s visit, said villagers had stopped the Christians from preaching against their gods and idol worship, and had held them all hostage all night. That morning, the police took the 25 youths into custody. “My husband only went to the police station to give a statement that we had invited the FMPB brethren to our house and that there was no attempt to forcefully convert anybody, but he too was taken into custody,” Soren told World Watch Monitor. “The tribals in Jharkhand are either Sarna [religion of the indigenous people] or Hindu, and the 25 Christians who entered the village were putting the tribes under pressure to convert,” Inspector Manoj Kumar of Shikaripara police station, 70km south of Phulpahari, told World Watch Monitor. Asked what kind of pressure, Inspector Kumar said: “Firstly, they are 25 in number and entered the village at night. They belong to different parts of the country; one is from Bengal and another from elsewhere. They came to this tribal hamlet and started inducing the illiterate, innocent tribals to convert. “They told the villagers: ‘Your religion is bad’, and that ‘Satan lives in your worship places’, and said that ‘only conversion to Christianity will do you good’. And when the villagers answered that they are happy with their own religion, then the Christians have tried a variety of ways to lure them. They were luring the villagers by telling them the advantages that conversion to Christianity can fetch. The village head’s later complaint, attached to the FIR, accused the Christians of conversions by inducement. Jharkhand’s new law, contrary to what many believe, does not criminalise conversion from one belief (including Hinduism and Sarna) to another, but does forbid inducement or allurement. “The changes in the narrative are of serious concern. It is sad that it appears the complaint has been modified in a way to frame the Christians under the anti-conversion act,” FMPB field missionary Ramesh Velraj told World Watch Monitor. On 7 July, the day after the police arrests, members of the Hindu nationalist group Rashtriya Swayamsevak Sangh (RSS) held an event in the village to celebrate the court’s order that sent the 16 Christians to jail. The village president was garlanded and appreciated by key BJP and RSS leaders who attended. So far, 31 Christians have been charged under section 4 of Jharkhand’s anti-conversion act, officially titled the Freedom of Religion Act, since it came into force in February. The law passed by the state legislature punishes a person guilty of forcible conversions of a minor, woman or a person belonging to Scheduled Castes and Scheduled Tribes (members of India’s lowest caste) by imprisonment of four years and a fine up to 100,000 rupees (US$1,500). It prescribes prior permission from the district collector to convert to another faith. Local Catholic leaders, such as Prabhaakr Tirkey, said at the time that Hindu nationalists misinterpret Christian missionary services of healthcare and education as “allurement” and fraudulent means for conversions.